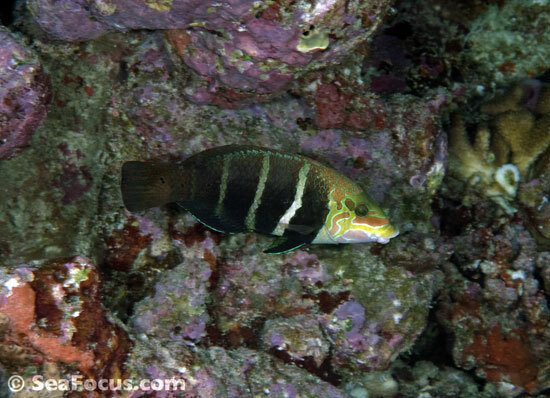 Wrasse and groupers are currently being assessed by a specialist group at the IUCN. 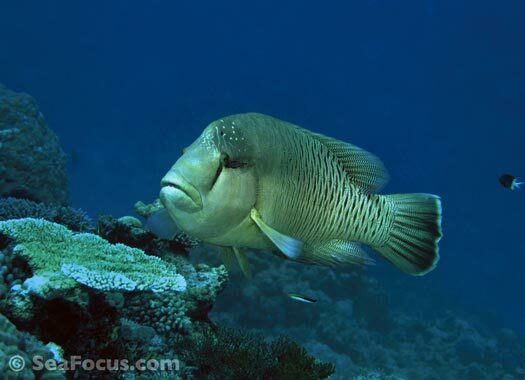 The Humphead Wrasse, Cheilinus undulatus, is already listed as ‘Endangered’ on the IUCN Red List of Threatened Species. 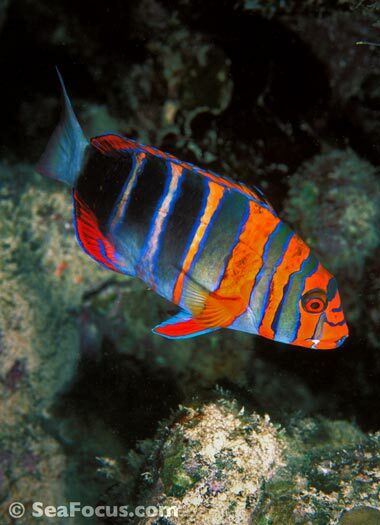 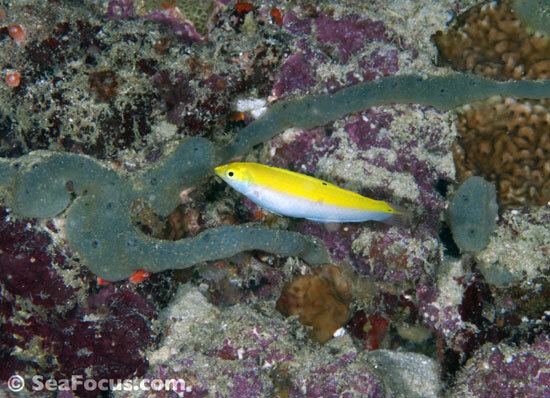 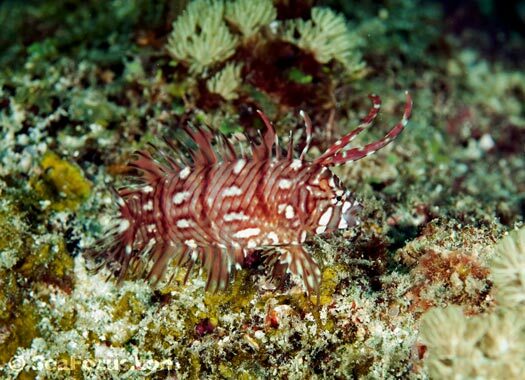 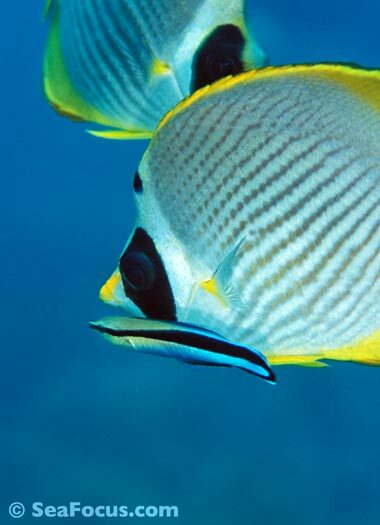 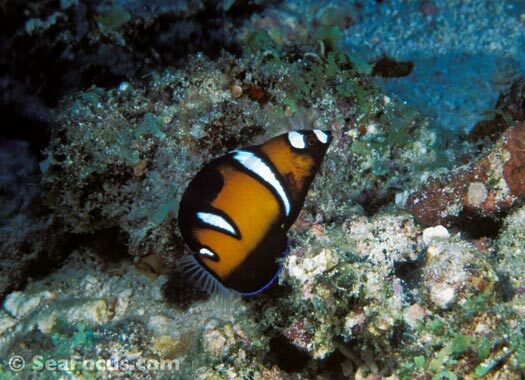 The Labridae family is another of the coral reef's most diverse groups with around 500 species in 60 different genera. 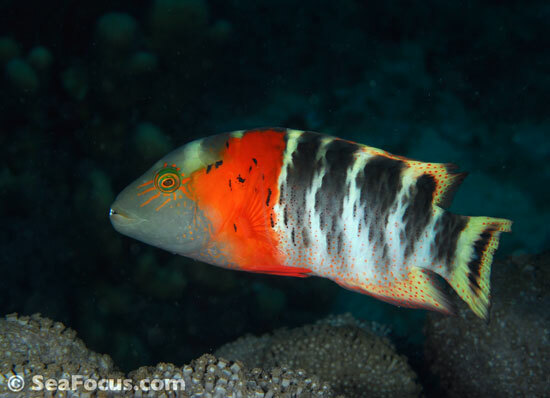 Yet despite their wide distribution and variety of types these lovely, colourful fish are often overlooked by divers simply because there are so many of them. 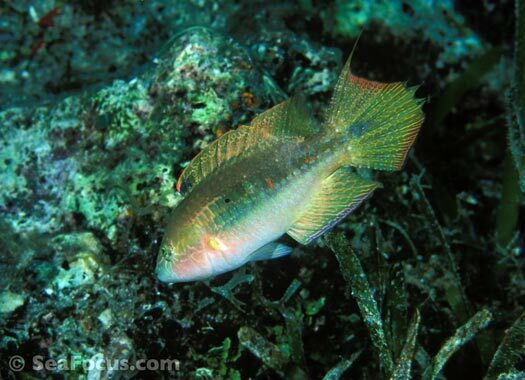 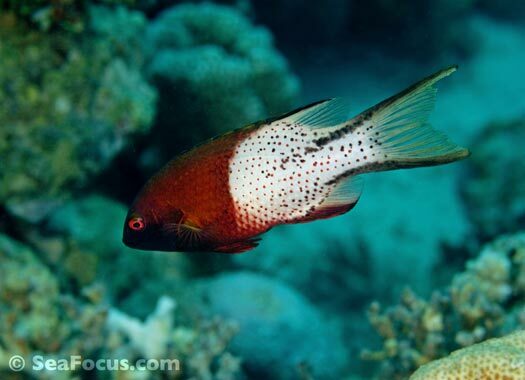 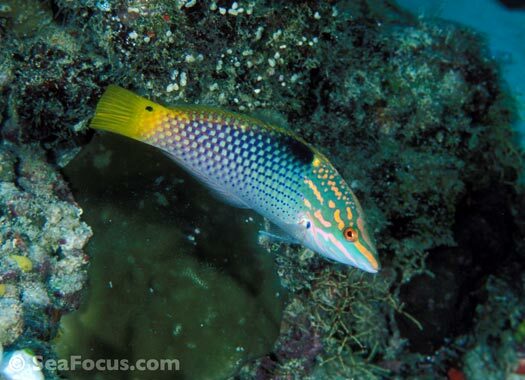 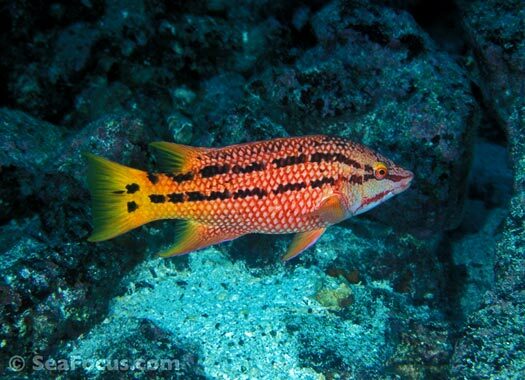 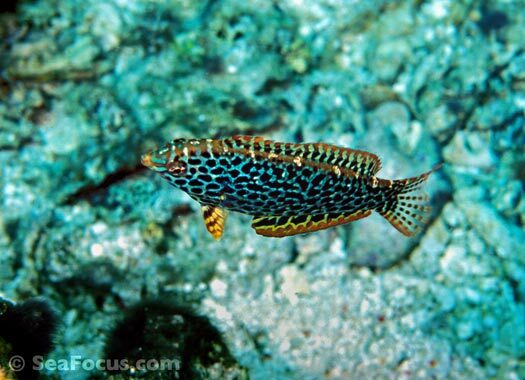 Ever heard that joke - if you don't know what it is, it's probaby a wrasse? 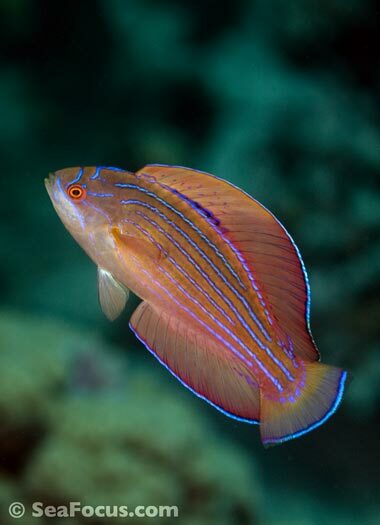 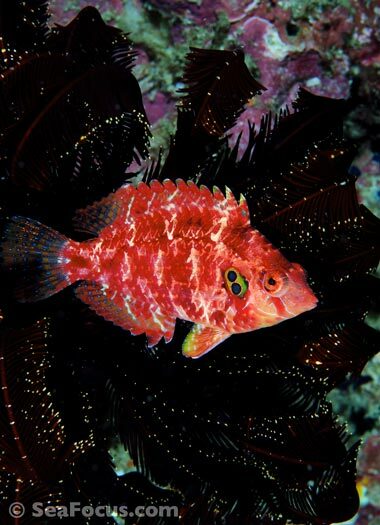 Most wrasse are small fish, on average well under 20 centimetres long, so they tend to flit about the reef avoiding predators and getting ignored by divers. 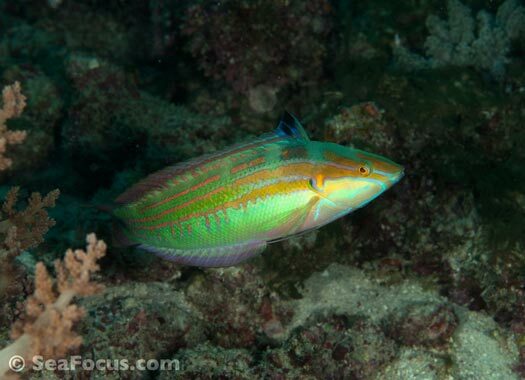 Perhaps most often noted is the ubiquitous cleaner wrasse that are spotted hanging onto other, larger fish doing a tidy up job. 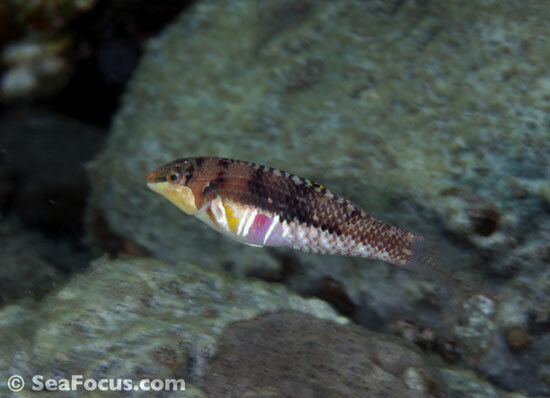 At just a few centimetres long they are hardly visible until you see them at work. 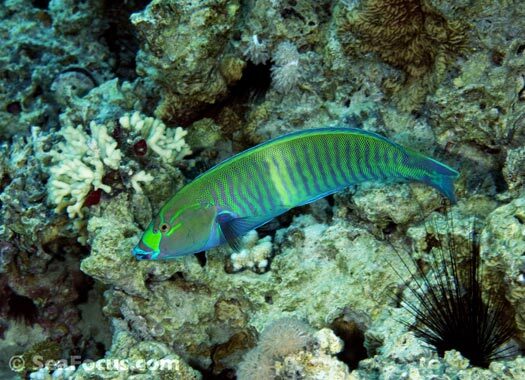 The largest wrasse is the Humphead, which can measure up to 2.5 metres (8.2 ft). 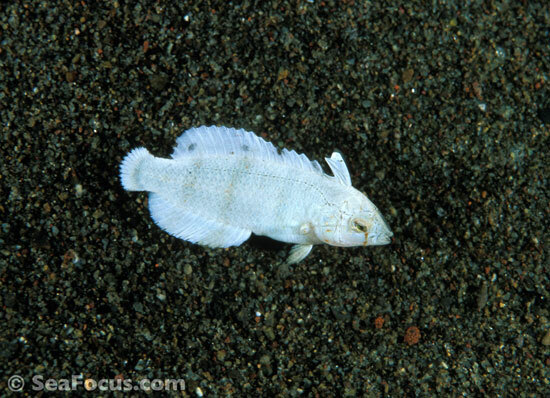 All wrassses are carnivores and feed on a wide range of smaller invertebrates. 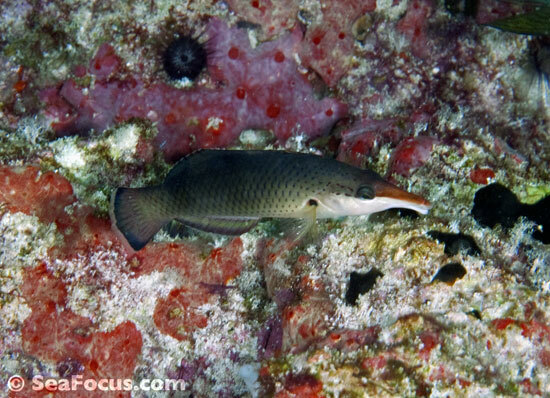 Some follow larger fish around, picking up their leftovers and, of course, many larger fish feed on them. 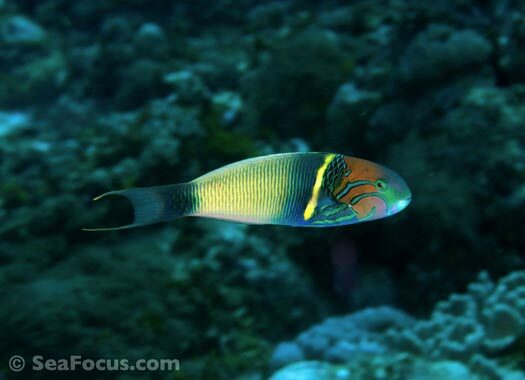 Surprisingly, cleaner wrasse never get eaten by the fish that use their services as the removal of parasites and dead tissue is seen as a bigger bonus. 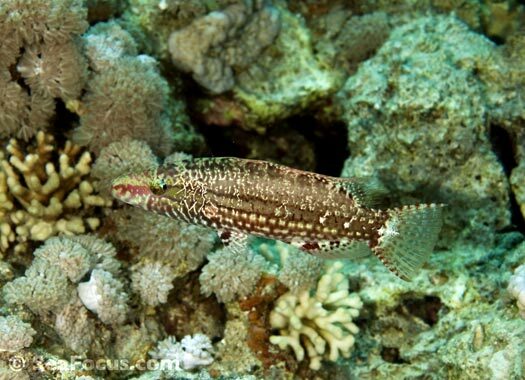 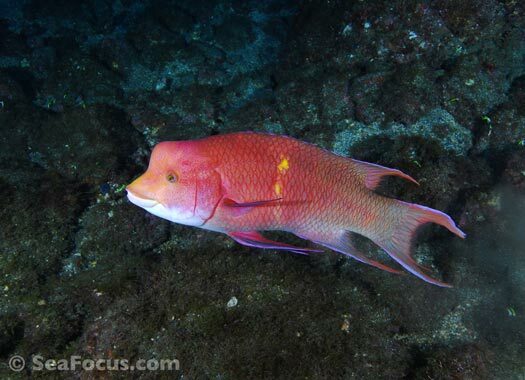 There is a cleaner wrasse approaching the humphead in the image below. 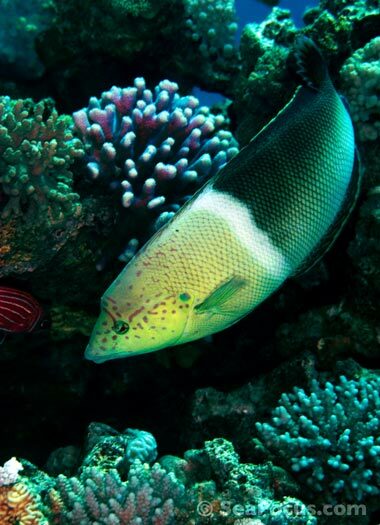 The largest member of the Labridae family, and much loved by divers, the curious and often friendly Humphead wrasse is one of the most exploited fish on the reef. 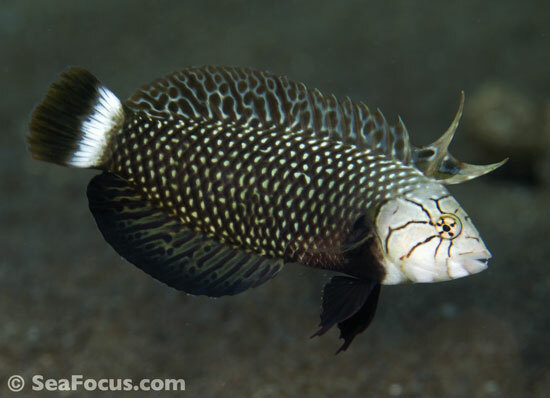 Highly valued in some countries as "live food", they are easily captured at a size that makes it impossible for the species to sustain it's own numbers. 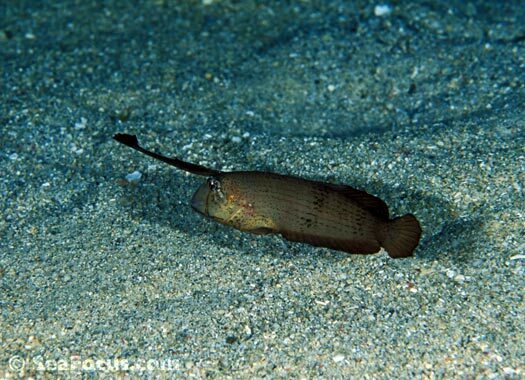 Humpheads are hermaphrodites and sexual maturity rarely occurs before five years of age or about 60 centimetres long. 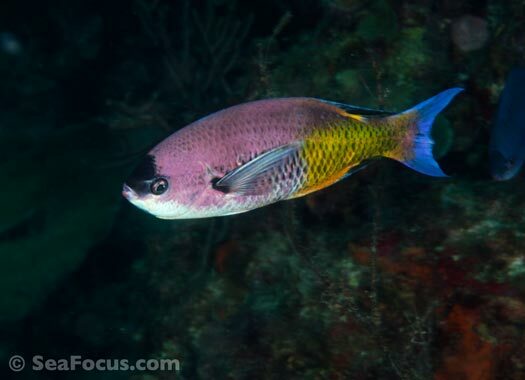 Illegal fishing practices target fish at dinner plate size, selling them on to restaurants which retail them at more than US$100 per kilogram – the most highly priced of all fish species. 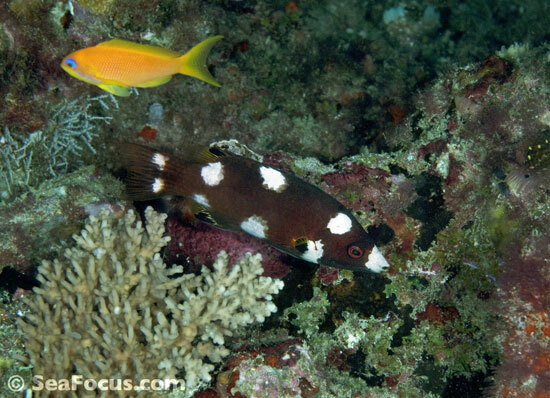 However, by taking so many juveniles, insufficient adults remain in the sea to replenish the species populations. 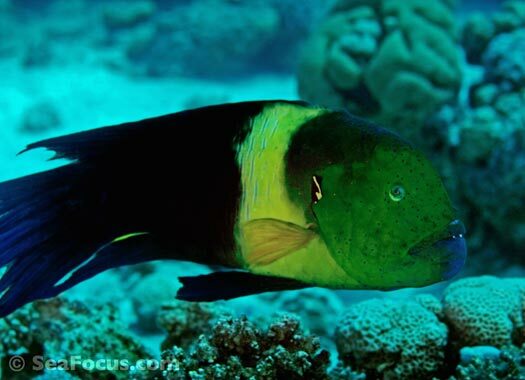 The Napoleon wrasse to the left is a Terminal Phase adult – a male of some age – while the image above is one in it's Initial Phase, meaning a young adult that is only just sexually mature and could be either male or female.